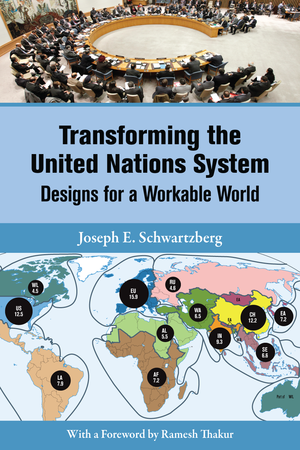 Joseph Schwartzberg, Transforming the United Nations System: Designs for a Workable World (United Nations University Press, 2013). Global problems require global solutions. However, the United Nations, as presently constituted, is incapable of addressing many global problems effectively. One nation–one vote decision-making in most UN agencies fails to reflect the distribution of power in the world at large, while the allocation of power in the Security Council is both unfair and anachronistic. Hence, nations are reluctant to endow the UN with the authority and the resources it needs. Extensive reform is essential. This book is rooted in the proposition that the design of decision-making systems greatly affects their legitimacy and effectiveness. It proposes numerous systemic improvements, largely through weighted voting formulae that balance the needs of shareholders and stakeholders in diverse UN agencies. It indicates ways by which the interests of regions can supplement those of nations and by which the voices of non-governmental organizations and ordinary citizens can also be heard. In numerous contexts, it promotes meritocracy and gender equity. The aim is not to create an unrealistic utopia, but rather to establish a workable world, a world in which the force of law supplants the law of force, a world committed to justice and continuous, yet sustainable, development. Given the many existential threats now confronting our planet, the time frame for decisive action is short. The task before us is daunting and success is not guaranteed. But, in view of the urgency of our situation, we must and can find ways of mustering the will, imagination and other resources to do the job. 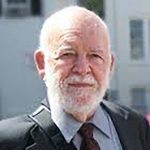 Joseph E. Schwartzberg is Distinguished International Professor Emeritus, University of Minnesota, and President, Minnesota Chapter, Citizens for Global Solutions. Book and accompanying Study Guide now available in SEVEN LANGUAGES!